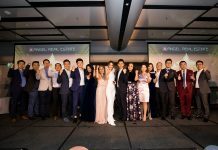 A total of 11 real estate agencies made the cut for the inaugural Thailand’s Best Real Estate Agencies 2018 Presented by Leading Real Estate Companies of the World®. Our goal was the celebrate those firms that go above and beyond to ensure clients have the best possible service and support. 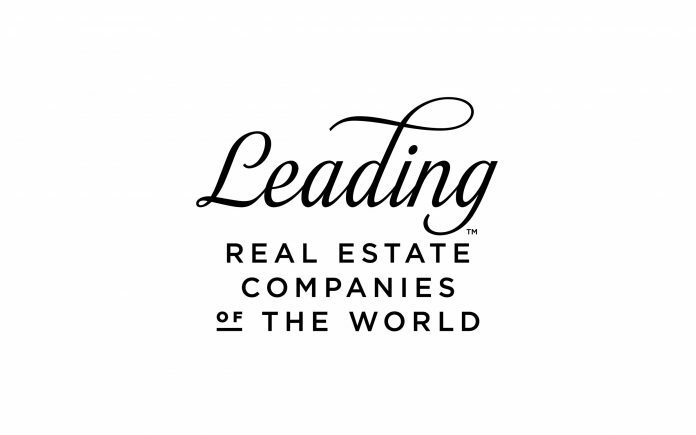 Leading Real Estate Companies of the World® (LeadingRE) is the presenter of Thailand’s Best Real Estate Agencies 2018. The company is the home of the world’s market-leading independent residential brokerages. LeadingRE boasts 565 member firms in more than 70 countries. The firm remains committed to its vision of being a worldwide company that operates locally as it continues to expand while providing members with new business opportunities. Accom Asia is a respected provider of real estate services, supporting local, regional and international clients. 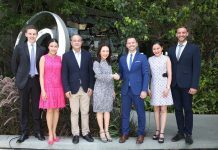 The firm concentrates on the most prestigious condominiums and residential housing projects in Bangkok, but does work in other areas of Thailand as well. 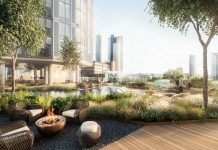 The agency boasts 10,000 properties in Bangkok and is continually updating its portfolio to ensure it is comprehensive. The Accom Asia team speaks English, French and Thai. The mission of Accom Asia is to be the most professional and trusted real estate agency in Thailand. Additionally, the company strives to make Thailand property searches efficient and effective by using modern technologies. Since opening in 2009, Century 21 Skylux has strived to become the leading real estate solutions provider in Thailand. The firm is a full-service agency who provides a wide range of quality services. Thanks to the company’s deep market knowledge and excellent service, it has built a reputation as being one of the Kingdom’s most trusted real estate agencies. Century 21 Skylux covers all areas of Thailand focusing on both investors and end users. The firm’s skilled staff are property specialists who focus on a small number of areas in order to provide a high level of customer service. Century 21 Skylux has also invested in cutting-edge technology in order to better serve clients from around the world. When it comes to Phuket real estate agencies, St. James Properties has been one of the best for more than a decade. 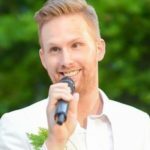 The agency’s reputation is built upon its excellent service and accurate advice that offers clients total peace of mind. The firm boasts an impressive database of villas and homes for rent or sale as well as a large number of investment properties. St. James Properties also has a number of exclusive properties that it has secured. With a proven track record of success in Phuket, developers trust the company to secure rentals at their projects. Phuket Buy House is best known for offering the finest Phuket properties for sale. The company has been in business for more than 11 years. They have the tools to assist discerning buyers purchase property on the island. The firm also assists owners and developers wishing to sell their Phuket real estate. The entire team at Phuket Buy House is qualified to advise clients on how to invest in Phuket real estate. Bangkok Residence 88 is an established property agent serving both Thai and international clients. The firm acts with unmatched integrity and works with only ethical professionals and real estate agents. Bangkok Residence 88 conducts sales, residential development, property investments and valuations. Clients can enjoy superior service that allows them to make fully informed decisions. Paul Camilleri, who has been working in Pattaya for nearly ten years, leads Pattaya Foreigner Service (PFS). It is an independent, Swiss-run property agency that provides unmatched service and affordable prices to all clients. Camilleri is best known for taking the time to get to know every buyer and seller and truly understanding what they are looking for. He is always willing to go the extra mile to assist his clients. PhuketCondo.Net was established in 2012 with one goal in mind: specialising in Phuket condominiums. It has worked and these days the firm is the market leader when it comes to Phuket condominium sales and rentals. Don’t let the name fool you, however. PhuketCondo.Net also has an inventory of villas and land for sale. The experienced real estate agency has a head office located in Phuket Town. Horizon Homes is no ordinary real estate agency. They are a one-stop shop for all things property in Samui. They operate as an award-winning developer, respected construction company and property management organisation. 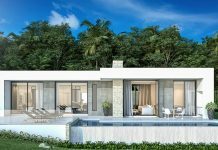 As a real estate agency, Horizon Homes is able to serve all types of homebuyers wanting to own their very only slice of Koh Samui. If you want a property in this island paradise, Horizon Homes is the name to trust. Since 2006, Vauban Real Estate has been serving property buyers and renters. The company has closed thousands of transactions in the more than ten years. The firm’s top priority is empowering clients with the ability to purchase their ideal property, whether it is for investment purposes, a residence or holiday home. Vauban Real Estate takes pride in its precise knowledge of the Thai real estate market. It also stays up-to-date on the latest regulations allowing the company to provide clients with exciting opportunities as well as unmatched protection. With offices in Bangkok, Phuket, Pattaya, Hua Hin, Chiang Mai and Samui, Vauban Real Estate is able to offer personal service throughout Thailand. No one covers Thailand’s Eastern Seaboard quite like Pattaya Realty. The company was one of the first real estate agencies to set up shop in Pattaya and the company has been helping clients for 17 years. This has provided the firm with a first-hand perspective of the market and it shares this with its clients. Pattaya Realty employs both English and Thai-speaking staff who are fully trained to the highest standard, guaranteeing the very best service. They help property buyers, sellers and investors make effective decisions. 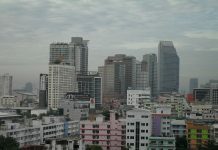 In addition to residential property, Pattaya Realty also has a wealth of experience in commercial real estate. This sets them apart for many other Eastern Seaboard agencies. Northeast Thailand’s leading real estate agency is Isan Real Estate. Property owners, investors or those looking for a home or land in the area have come to trust Isan Real Estate thanks to their understanding of this unique market. The firm uses an exclusive boutique approach that sees them put their time and energy into highly personalised service. The company established a strong portfolio of genuine buyers ensuring it can satisfy the desires of all parties to achieve maximum results. With an upstanding approach that is supported by the use of technology, Isan Real Estate continues to set the bar high for property in the region.